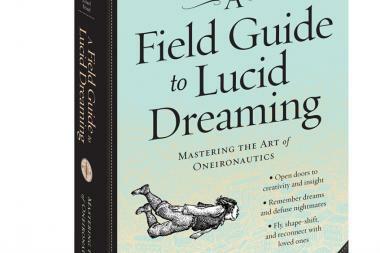 "A Field Guide to Lucid Dreaming" was written by three recent NYU graduates. The launch party for the book is at WORD bookstore. GREENPOINT — As a 15-year-old, Jared Zeizel became haunted by nightmares of his friends turning to zombies and chasing him down the street. That's when he learned to control his dreams. "I was having these episodic recurring dreams of a zombie apocalypse and almost every night it would pick up right where I left off the previous night," recalled Zeizel, whose cousin suggested he learn lucid dreaming — defined as awareness one is dreaming — to decrease his distress. And once Zeizel mastered the technique, he was hooked. "When I wasn't lucid dreaming I was running for my life [from the zombies], but when I became lucid I could fly away from the whole mess and it had a video game aspect to it," said Zeizel, now 25. "It was fantasy fulfilling. I was flying, going on adventures and sleeping with celebrities." The authors of "A Field Guide to Lucid Dreaming" first met in college at NYU. Ten years later, Zeizel and his two friends are helping novices take charge of their subconscious journeys, in their book "A Field Guide to Lucid Dreaming." At their book's launch party at Greenpoint's WORD bookstore Wednesday, the trio will give a taste of the wisdom they share in the manual. "Other [lucid dreaming] books are either academic and scientific or New Age and spiritual," said Zeizel, who lives in Bushwick. "We thought, wouldn’t it be great if we wrote a book that spoke to the middle ground? Our book has practical tips and techniques to get lucid." 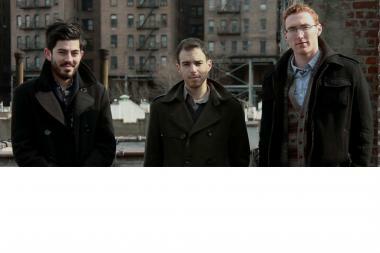 Zeizel and the other two authors, Dylan Tuccillo and Thomas Peisel, all met studying film at NYU and currently work as freelance writers and filmmakers, Zeizel said. Tuccillo had also lucid dreamed in high school and he taught Peisel to use the technique. "You start off doing reality checks every day and asking yourself if you're dreaming," Zeizel said. "It starts conditioning your mind...and then one time you ask yourself and realize, 'wait a second, I am dreaming.'" And after a person achieves awareness he or she can start taking conscious action in dreams, Zeizel said. Zeizel may have used the strategy for entertainment as a teen, but he said lucid dreaming is actually a powerful tool in affecting a person's psychology. Zeizel now can tackle anxieties while asleep and can have uplifting dreams that affect his perceptions while awake, he said. "If I have a dream and I decide to fly I feel more energized the next morning than what coffee can do...I'm more excited and more empowered to take on the day," Zeizel said. And Zeizel said the awareness of dreaming can also help people feel more grounded in reality. "It actually becomes clearer which reality you're in," he said. "It can be used to reassure yourself you're not in a dream." The launch party for "A Field Guide to Lucid Dreaming" is at WORD Brooklyn on Wednesday at 7 p.m. More details can be found on WORD's event page.